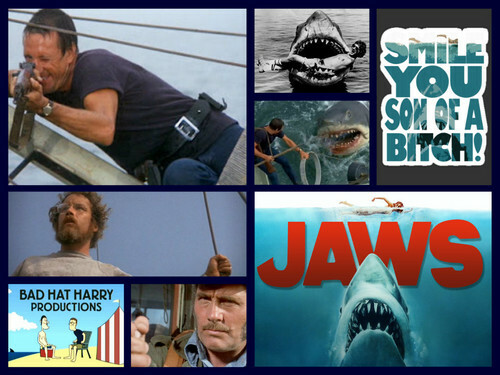 Jaws Tribute collage. iconic scenes and sayings, production foto and a company with a famous line. HD Wallpaper and background images in the cine club.